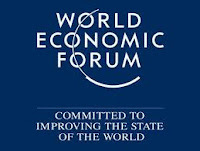 Last week, the World Economic Forum hosted its annual gathering in Davos, Switzerland, an event known for its mix of panel discussions, photo opportunities and rapid-fire meetings among some of the world’s wealthiest and/or politically connected individuals. 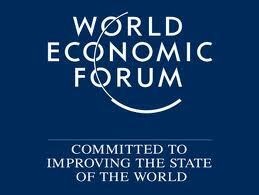 In addition, research publications such as “Global Risks 2013” and “Global Agenda 2013” are released. In the areas of global risk, concerns and potential impacts that were highlighted included: 1) widening income disparity, 2) an unstable global economy, 3) chronic fiscal imbalances, 4) rising greenhouse gas emissions,5) natural resource shortages, 6) mismanagement of population ageing, 7) economically driven social unrest and 8) diffusion of weapons of mass destruction. Social network dynamics were addressed as well, and it was noted that “The scale and speed of information creation and transfer in today’s hyperconnected world are… historically unparalleled. Facebook has reached more than 1 billion active users in less than a decade of existence, while Twitter has attracted over 500 million active users in seven years Sina-Weibo, China’s dominant micro-blogging platform, passed 400 million active accounts in summer 2012. Every minute, 48 hours’ worth of content is uploaded to YouTube." Regarding global risks - while most of these concerns have been documented elsewhere, these reports suggests there is a broadening consensus regarding these concerns among many global players. At the same time, with many Davos attendees classified as ultra-rich, the topics of income disparity and economically driven unrest highlight the irony of the gathering. From the U.S Federal Reserve: Kansas City Fed President Esther George - “Prices of assets such as bonds, agricultural land, and high-yield and leveraged loans are at historically high levels” and “We must not ignore the possibility that the low-interest rate policy may be creating incentives that lead to future financial imbalances”. 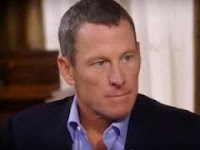 Regarding the Biker and the Banker – with both players as named defendants in former teammate Floyd Landis’ lawsuit (which alleges fraud against the team’s sponsor – the U.S. Government’s Postal Service), this and other related legal actions will likely reshape the business of sports and promotional sponsorship. Regarding corporate earnings – In general, the comments from CEOs suggest an uneven global economic recovery, while Intel’s comments highlight that while the PC is not dead the major transition to mobile and touch screen devices continues. Regarding the Federal Reserve – it seems the time to unwind the Fed’s massive monetary stimulus effort is approaching, a process which may introduce some unexpected risks. At last week’s Consumer Electronics Show (CES) in Las Vegas, companies introduced a broad mix of devices including faster, cheaper and cooler looking televisions, media recorders, computing/ mobile devices and auto technology as well as gadgets such as the HAPIfork, a digital fork that lights up and vibrates to tell its user to slow down. 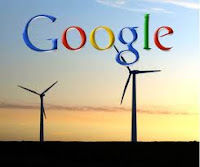 As some observers of this event speculated on the energy needed to power these devices, Google, on Wednesday, announced a $200 million equity investment in Spinning Spur Wind Ranch, a 70 turbine (161 megawatt) project near Vega, Texas. €3.5 million for a 49% equity stake in a solar facility in Brandenburg, Germany. While large-scale power projects can present technological, bureaucratic and budgetary challenges, it is constructive that Google and other firms are increasingly engaged in financing these efforts. It is also notable that, while Google and others use renewable energy sources to support the massive power needs of their data centers, the “cloud computing” industry in general operates in an inefficient fashion (“Power, Pollution and the Internet” The New York Times, September 23, 2012). Bottom line: 1) efforts by Google and others to expand and enhance the power grid are welcome news and 2) organizations with innovative products and services may benefit from improving the inefficiencies within our digital ecosystem. Gram Power's focus is “To Electrify India – Intelligently”. The team has received $80,000 in grants from Alibaba.com, Intel Corp, and UC Berkeley and $1million from an angel investor. Their solution was selected by Launch.org (sponsored by NASA, USAID, Department of State, and NIKE) as a top 10 clean technology innovator. They believes there are 2.6 billion poor people who should have access to reliable, affordable power solutions. Within India, the dynamics supporting Gram Power’s solution include: 1) over 300 million people live off the power grid, many in remote rural areas where providing access is not economical, 2) the potential to reduce diesel subsidies (about $900 million) for telecom tower operations and 3) centralized electricity systems waste about 58% of its energy due to theft and heat loss in transmission lines and power stations (in the U.S., the loss rate is about 7%). Gram Power from LAUNCH on Vimeo. 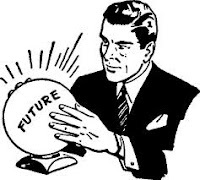 As we begin the New Year and assess various market dynamics and probable outcomes, the following two sets of “possibilities” are among the many ideas under consideration by both investors and policy-makers. increased demand for food, water and energy resources will require proactive action by policymakers and private sector leaders to avoid a world of scarcity. 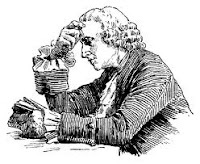 In his New York Times Op-Ed "How to Read in 2013", Ross Douthat shares his view on reading and encourages us to: ""make a special effort to read outside existing partisan categories entirely. Crucially, this doesn’t just mean reading reasonable-seeming types who split the left-right difference. It means seeking out more marginal and idiosyncratic voices, whose views are often worth pondering precisely because they have no real purchase on our political debates." Given the often polarizing manner in which many topics are currently debated, reaching out broadly and considering alternative views seems like a good strategy as we start the New Year.